A little-known feature built-in to the new Windows Update process is the ability to share your Windows 10 installation files with other users over the Internet, similar to P2P sharing. 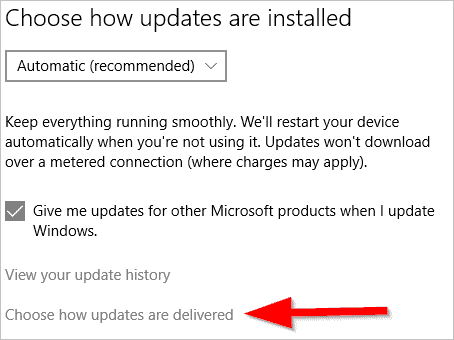 Unfortunately, Microsoft didn’t advertise this feature as much as it should’ve, and it’s taken some savvy bloggers to figure out why their Internet usage was spiking so much during the Windows upgrade or install process. 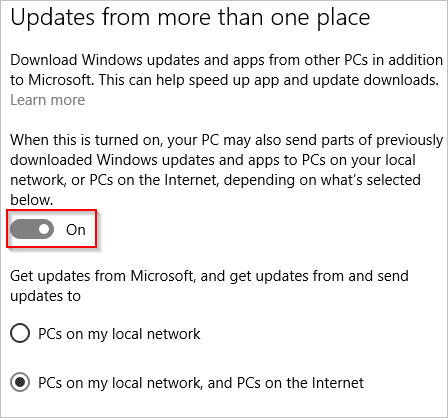 Let’s look at how to turn off this Windows Update feature so you don’t have to engage in P2P sharing of your Windows 10 installation and update files. Note: These steps should be taken as soon as you boot into Windows 10 for the first time, above anything else if you want to save your bandwidth from being throttled by your ISP. 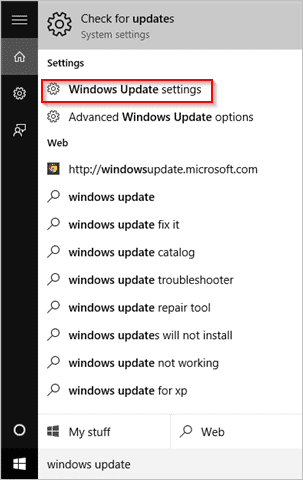 Search for “Windows Update settings” in the search bar in the bottom left-hand corner of your screen. 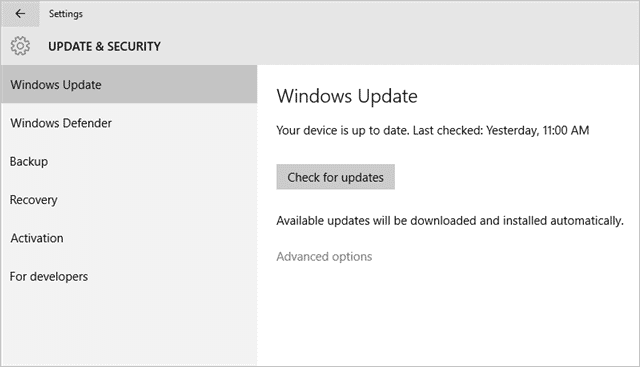 In the right-hand pane, click on “Advanced options” below Check for updates. Now, click on “Choose how updates are delivered” at the bottom of options. This is finally where you learn about this P2P sharing of your Windows installation and update files. Otherwise, if you want to turn this feature off – and we recommend you do so immediately – check the slider next to “On” to off. 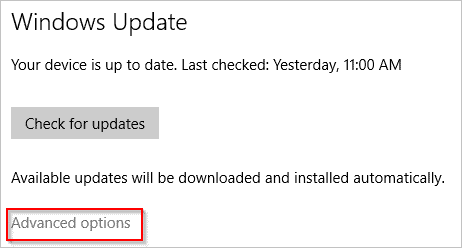 You’ve now turned this feature off and don’t have to worry about sharing your Windows installation and update files with strangers, eating up your bandwidth thanks to Microsoft not announcing this feature in the Windows 10 Technical Preview or anywhere. The commentary on Microsoft adding this “feature” without explaining it to users is perhaps the biggest backlash so far about Windows 10. Users on Reddit, and other tech forums, are ripping Microsoft a new one over this, especially for those who’ve been throttled by their ISP by eating through bandwidth. Microsoft wanted to make the Windows 10 installation easier for users, which is why they’re releasing the OS in waves, but still, this is something everyone should’ve been made aware of before upgrading or installing Windows 10.